Driven by its pursuit to break away from linearity and accelerate the transition to circular city making, CITIES foundation – an independent organization based in Amsterdam Noord – has been working tirelessly topresent two exciting developments in our collective journey towards circularity. 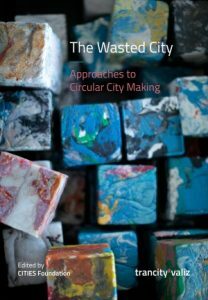 On May 22nd, CITIES launched its latest publication ‘The Wasted City’; an explorative collection of work aimed at facilitating knowledge sharing and a dialogue around the growing movement towards circular city making. Moreover, CITIES pilot project WASTED – an initiative to foster collaborative waste separation – now includes paper, textile and glass in addition to plastics and is also completely digitalized. Two years ago CITIES developed WASTED – a locally rooted project that adds value to the act of recyclingwhile strengthening social ties between engaged local protagonists. Fundamentally, the project centers around the generation of a local currency valued on plastic waste. In this scheme WASTED members who subscribed to the website and chose to separate their waste are rewarded with plastic WASTED coins that can be exchanged to discounts and benefits at local rewarders. Since its launch in Amsterdam Noord, WASTED has proven itself as an important and influential enterprise, not only accelerating environmentally conscious action and sustainable consumption, but essentially, demonstrating itself as aneffective tool for social inclusion. 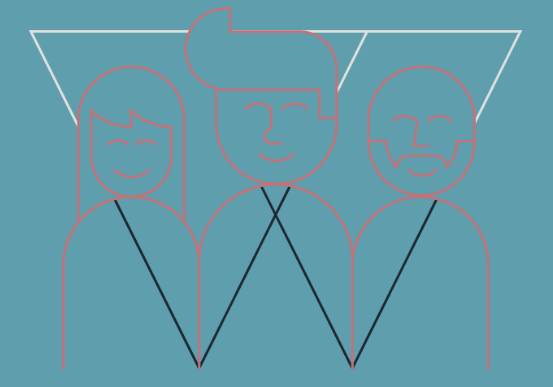 The WASTED community has grew big, thus to keep up and streamline the functionality, it has had to innovate. That said, WASTED has expanded it separation scheme to paper, textiles and glass in addition to plastics. And, after launching its new website, it is fully digitized, meaning that it includes offline and online rewarders and is less time consuming. This exciting new phase for WASTED is but one step along the long road to enable systemic change. Circularity is still far from mainstream. CITIES acknowledges that the processes of learning are of equal importance to the outcomes. Therefore, taking advantage of the invaluable first-hand experience in developing the new phase of WASTED, CITIES’ latest publication, published by Trancity-Valiz; ‘The Wasted City’, aims to channel the energy and knowledge of local projects and social enterprises around the world that are breaking the linear mold. Taking a wide-ranging approach of various scales, scopes and styles, this publication cuts a clear narrative of circularity through the jungle of sustainable urban transition pathways. Two central lines of discussion are followed within the dialogue of ‘The Wasted City’. Firstly, a case-based approach is pursued, casting light on 16 diverse local experiences, exploring the relationships within the local community and strategic cross-sectorial partnership. Spanning scales, from the hyper-local to the regional, sectors including food, energy and material waste, and locations such as Rotterdam, Barcelona, Seoul and Detroit. There is no ‘one-size’ solution to make a city circular, and the presented cases demonstrate the heterogeneity of approaches, all of which are critical to further the development of circular cities. The second central direction in the book presents compelling insights on circularity by external professionals, experts and thinkers that are actively engaged in the field. These pieces from leading minds discuss how concepts such as urban metabolism, cultural change and socio-spatial relationships are all instrumental in inciting systemic change. 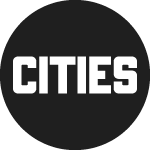 Embracing the founding principles of the CITIES Foundation, this publication adopts a people-centric approach, first and foremost recognizing that true systemic change must come from, and be for, citizens. Ultimately, the goal of ‘The Wasted City’ is to serve as a tool to ignite and fuel discussions around urban circularity, eventually facilitating the departure away from our current linear system. It has never been a more exciting time to be part of the transition towards a more circular and sustainableurban system. Be part of the conversation. The book can be ordered online here.